If you want to quickly list out all your apps on your iOS 7 device, here is a quick tip. 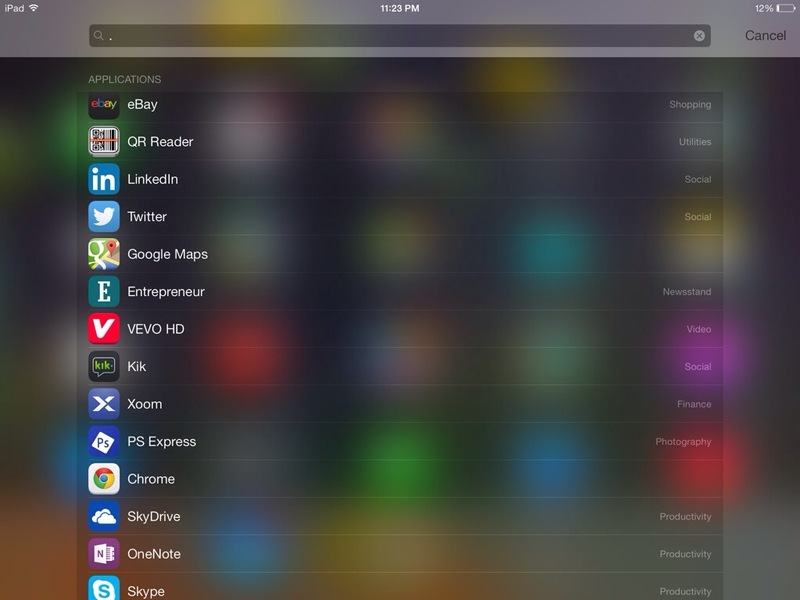 All you need to do is – open Spotlight search by swiping down while you are on home screen and then type . in the search bar. Yes, that’s the period symbol. This should provide a list of each and every app installed on your device. If you want to customize what needs to be shown in the above screen search, change it from Settings > General > Spotlight Search.